Self-help does not work. The problem with ourselves is ourselves and we need something outside ourselves if we hope to grow in grace. That’s the wonderful news of the Christian gospel. The gospel is not something to be used to “get into” Christianity. The gospel sustains believers to the end. 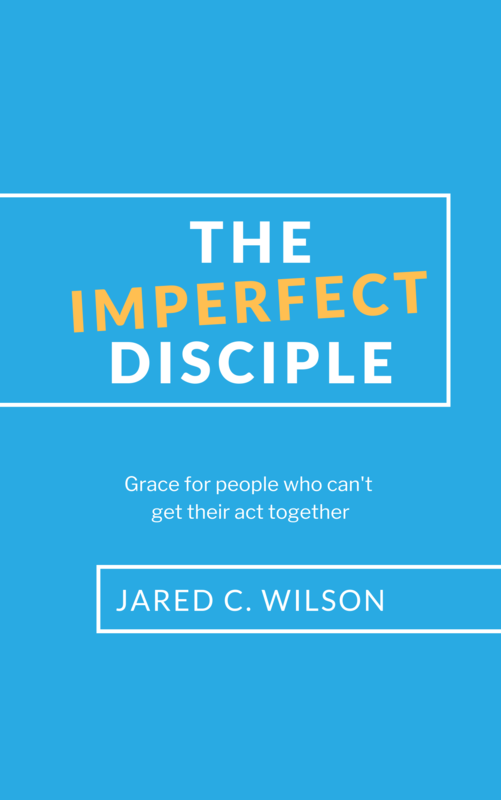 The gospel is for imperfect disciples who need grace daily. 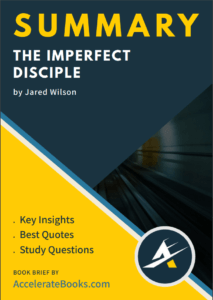 In The Imperfect Disciple we see the gospel really is for sinners. Those who do not have it all together. Those who are weak. Those who are lost. Too many Christians put forth a strong front, all the while wondering inside if they are good enough. The reality is they are not. No one is. Thus the need for the gospel. Jesus is good enough and His work is sufficient to save sinners and keep them growing in Him throughout their life. Grace really is amazing. Jared Wilson has been in the ministry for over twenty years. He currently is the managing editor with For the Church which is a ministry tied to the Midwestern Baptist Theological Seminary in Kansas City, MO. Jared is married and has two daughters. He is the author of numerous books including The Pastor’s Justification, Gospel Deeps, and The Prodigal Church. He has also co-authored other books like The Explicit Gospel and The Mingling of Souls. Jared has a heart for pastors and is a frequent conference speaker at both large and small venues. His speaking, writing, life, and ministry have been a blessing to Christians from all walks of life.